The Food Safety and Inspection Service (FSIS) of USDA (United States Department of Agriculture) gives information on Food Safety. 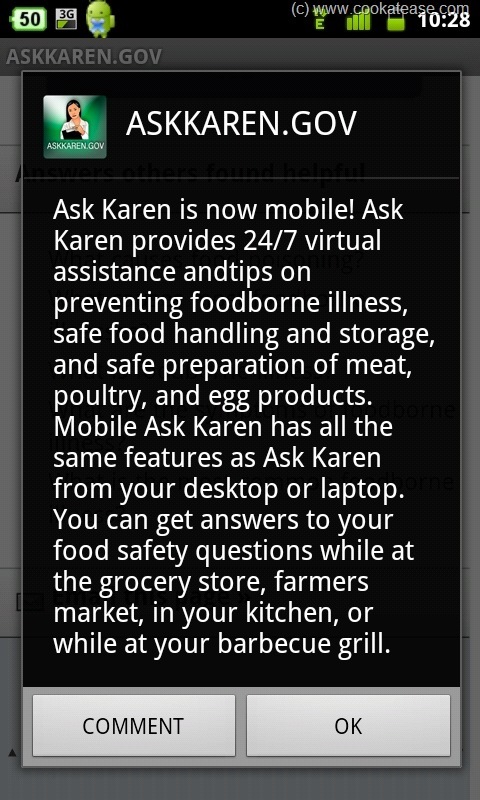 through FSIS’s Virtual Representative ‘Karen’ available 24/7. safe food handling and storage. safe preparation of meat, poultry and egg products. 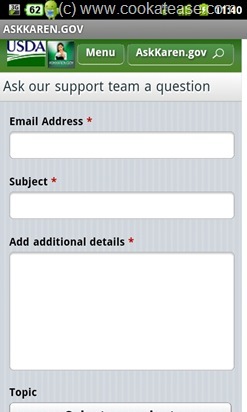 ‘Ask Karen’ is now available as a free application in smartphones. 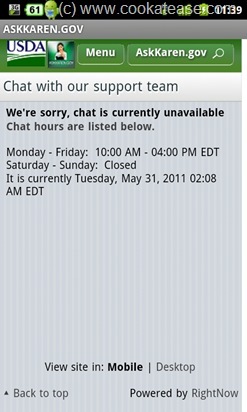 I have installed this application in my Android Smartphone from Android Market. In addition to accessing information on food safety, we can ‘chat’ and also send ‘email’ to clarify specific doubts if any on food safety.